The board of directors of the Foundation of Collier County Medical Society (CCMS) is accepting applications through March 31, 2019 for two scholarship awards: the Dr. William Lascheid Memorial Scholarship for medical students and Healthcare Student Scholarships for students enrolled in or accepted to healthcare degree programs. The Dr. William Lascheid Memorial Scholarship honors and remembers CCMS Past President and Neighborhood Health Clinic co-founder Dr. William Lascheid and his tireless efforts to provide care to the underserved in Collier County. Eligible Florida residents enrolled in or accepted to medical school, who have demonstrated excellence in service to their community, may apply. 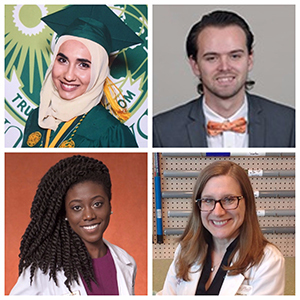 The Foundation’s Healthcare Student Scholarships offer awards to eligible Florida residents enrolled in or accepted as students in a healthcare degree program. The scholarship is based on academic merit and contributions to the community. Financial need may also be considered. Applications and requirements are available at ccmsfoundation.org, or may be obtained by calling the Foundation of CCMS, (239) 435-7727 or email. Information about the 2018 Scholarship Winners is also online. The Foundation of CCMS is a 501(c)3 charitable organization launched by the Medical Society in 2012, with the mission to provide support and leadership to programs that address access to healthcare and promote health education. To support the Foundation’s scholarship program and charitable healthcare endeavors, make a tax-deductible donation at ccmsfoundation.org or call 239-435-7727.